Dartfish is world leading Performance Analysis system. This course will guide you through the most important features so you get the most from your investment. Rob Carroll has over 10 years working with Dartfish, training organisations and clubs from around the world. 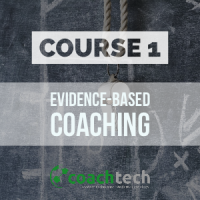 As an analyst himself Rob understands the key elements of the software that will save you time, improve you as an analyst and lead to more effective coaching. There are over 20 videos in this course and each one takes you step-by-step through each task. Whether you are a Dartfish novice or an experienced user you will pick up tips and tricks to make you a better Dartfisher. This course contains videos on all the key elements of Dartfish and will guide you from start to finish. Lead and bring out the best in your athletes. Identify and classify quickly your highlights. Filter full games, practices, by tagging key moments for a quicker overview and share it with your team. Connect, synchronize and merge all your data and videos from multiple sources or format without lifting a finger. Generate statistics, trends or analyze your videos with slowmotion playback, drawings, split screen and much more. Upload your work to your safe personal locker and share your insights on the move, anytime, anywhere on your mobile device. Very much enjoyed this course, informative while enhancing my understanding of the power of Dartfish. Would recommend to all skill levels, contains a very balanced deliverance of the basic and advanced features of the tool. I learned a great deal from the course, enjoyable and informative module in enhancing the role of anyone interested in performance analysis, complemented with the feature set supplied in Dartfish. This is an excellent course. I found it very practical and well paced. I was not familiar with Dartfish before the course but after finishing I had built a tagging window that I can use for the year ahead. The videos contain many helpful tips, with no time wasting. I have built other detailed tagging windows based on the tools I learned in the course. I’d recommend it for anyone learning Dartfish from scratch or looking for tips. An excellent course that describes the importance of video analysis.The presentations were clear and precise. Dartfish allows the user to create their own variables that will help identify both your teams weaknesses and strength. Therefore it is user friendly.I would recommend the course for anyone interested in video analysis..
Great course for all Dartfish users. Fits the advanced user as well as the beginner. Highly recommend it! Great way to start things off. This course provided a good jumping off point for me. Definitely recommend for the budding analyst.